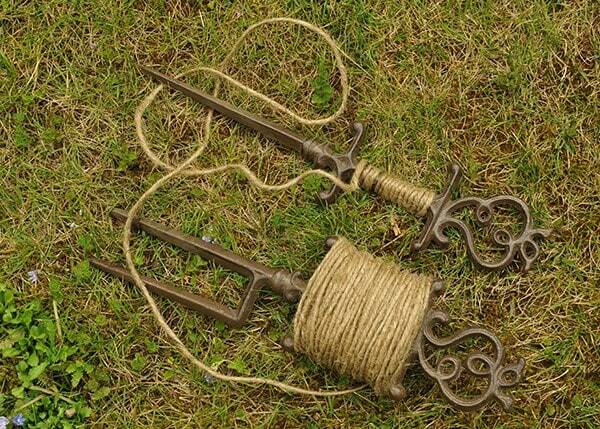 Buy The garden line: <ul><strong><li>Heavy duty metal</li><li>Attractive vintage finish</li><li>25m natural jute cord</li></strong></ul><br>Add a touch of vintage charm to your garden or allotment with this traditional metal garden line.<br><br> Ideal for marking out beds and lawns, sowing seeds, transplanting seedlings and more, the line makes it easy to create perfectly straight rows and edges.<br><br>Made from solid cast iron with ornate scrollwork and an attractive weathered finish, the pegs stand 35cm high and are wound with 25m of tough jute cord. 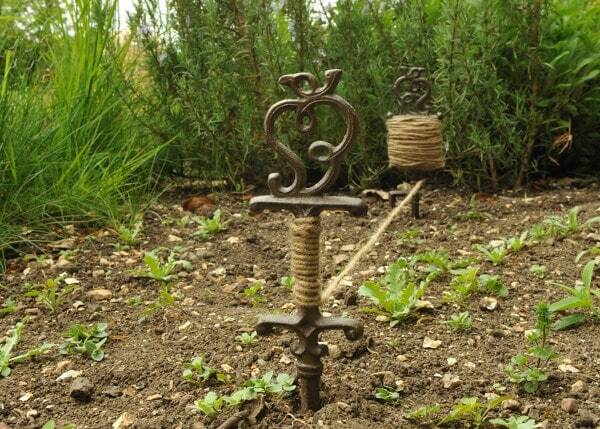 Add a touch of vintage charm to your garden or allotment with this traditional metal garden line. Ideal for marking out beds and lawns, sowing seeds, transplanting seedlings and more, the line makes it easy to create perfectly straight rows and edges. Made from solid cast iron with ornate scrollwork and an attractive weathered finish, the pegs stand 35cm high and are wound with 25m of tough jute cord.